For a full size Club Calendar go to Calendar in the top toolbar. For team calendars go to Teams in the top toolbar. 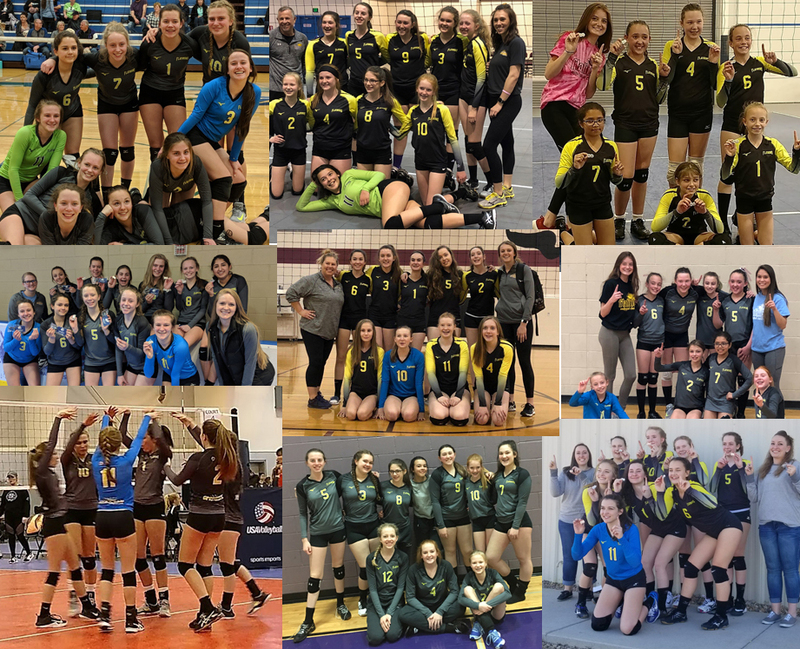 Flatirons Volleyball Club is a junior girls’ volleyball club entering our 20th season of training athletic young women from Boulder County and the surrounding area. Our primary goal is to teach girls how to become complete athletes on and off the court. We believe in the value of life lessons through team sports. 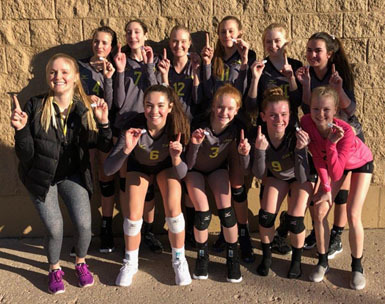 Flatirons Volleyball Club is the most successful girl’s volleyball club in the Boulder County area. If you have a passion for volleyball and would like to be part of a hard working group, we invite you to try out for one of our teams. Click here to learn more about Flatirons, the longest running club in Boulder County. 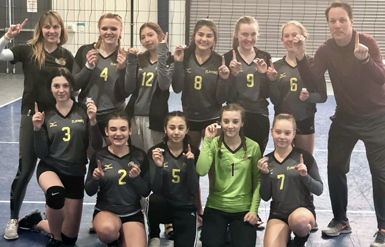 Congratulations to 14 Wekiu for their first place win at Power 3! 15 Elite Nui played like champs at Power 3 and took home first place! Nutritionist Bob Seebohar, MS, RD, CSSD, CSCS, METS II? The fuel that your athlete runs on is critical to reaching the highest performance levels. Chris Warner’s video is available here to learn this relevant and important information. 2019 Registration is still open! We have spots open and we’re looking for enthusiastic, athletic girls to fill them . . .
2018-2019 Season dues are payable through your Sports Engine account. Click the yellow button below or in the upper left of the homepage. There are no Open Gyms scheduled at this time. Please check back. Earn money toward your Flatirons membership with King Soopers and Safeway grocery gift cards. The savings program for the 2019 Season has begun. Use your grocery purchases to save on Flatirons fees! Five percent of the funds you load onto the cards go toward your athlete’s season fees. Learn about it here. Extra special THANKS! to Flatirons Parents for their team support at Power Tournaments! 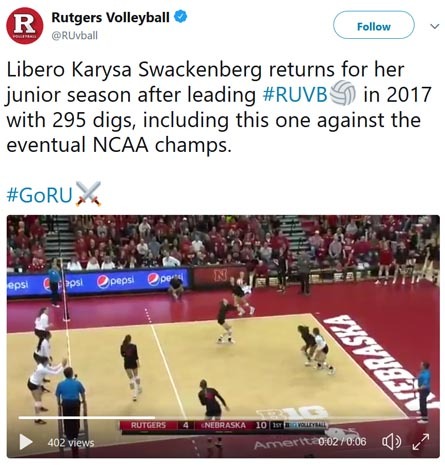 Coaches have reported enthusiastic cheering for great plays on the court, always asking if there’s another way to help and the incredible, healthy foods you bring to the team table. You’re the best!! The 2018 season was incredible for Flatirons! Please take a look at our News Page to see the success so many teams experienced. Beyond wins and losses, the bonding, relationships and growth on and off the court is even more rewarding. An extra special THANKS! to all Flatirons players and coaches for working so hard this season. Your improvement is palpable and we couldn’t be happier about the progress we witnessed. Contact us at flatironsvbc@gmail.com to add your contact information to our email list. This has been an incredible season with many wins for Flatirons. Visit our News Page to see some of our successes. Special thanks to our trainer, Kyle Schnitger and Brute Force for preparing us for competition! We especially love throwing the sandbags! Congratulations to Coach Jen Dixon, Monarch Head Volleyball Coach, for being awarded the “Best Should Teach” award by the U. of Colorado. Women’s college volleyball matches are televised on the SECND channel; Comcast Ch.706. Check it out . . . terrific matches to watch and learn. High Fives to top 5 finishers Chris and Jordan Warner at the King of the Mountain Volleyball Tournament in Vail! Nice job!